Auto transport companies offer a fast and efficient service when you have to ship your vehicle over a long distance. The basis of car transport is that the process of vehicle shipping is handled entirely by a company who will use a variety of methods to relocate your car to its new home. You will find that there are many auto transport companies in your area, but you need to make sure that you use a car shipping service that has a good reputation and offers competitive car shipping rates. One of the major reasons that people use an auto transport service is that they don't have to drive - which includes gas and hotel expenses, not to mention wear and tear on your car. 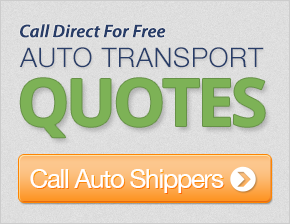 Unfortunately, many people believe car shipping is too expensive, and they can't afford it. However, many auto transport services will cost less than the cost of driving your vehicle yourself. Of course, you can choose to use a more expensive car transport service if you have a classic or collector car. In this case, you would usually request an enclosed trailer vehicle shipping service. The additional amount you pay is to ensure your vehicle will arrive at its destination in mint condition. Most people will opt for open auto transport, which is a great service at a low price. If you are a family that's moving to a new city, you will probably hire a moving company to move your household goods, but what about your car? A car shipping company can come to your home and collect your car, load it onto a transport trailer and deliver it safely to wherever you specify. This is especially valuable if you are making a long move, or aren't confident about driving over long distances to a destination that you are unfamiliar with. You might think you can only ship one vehicle at a time, but if you own multiple vehicles, you can actually save a great deal of money on your car shipping rates with a multi-car discount. You may be a vehicle collector, or even just someone who has a couple of different vehicles for different uses, and need to relocate them for work or vacation. This is what car moving businesses specialize in. They can offer you a service whereby all your vehicles will be moved at once, saving you the time and the effort of moving a vehicle on an individual basis. Using the services of an auto shipping company to have your car on your vacation can save you a great deal of time and hassle. You can fly to your vacation destination and your car will be waiting there for you. Many people like to have their own vehicle at their vacation home, so they are able to drive their own vehicle instead of a rental car. At the end of your vacation, you can arrange for the auto shipping company to collect your car and deliver it back to your home.